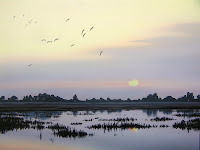 Each Fall, waterfowl migrate to the Willamette Valley to winter. One of the more spectacular sights that one can see are the large flocks of Canada Geese. There are seven subspecies that call Oregon their winter home including the Dusky Canada goose - one of the most threatened waterfowl species in the world. These geese nest exclusively in the Copper River Delta of Alaska and winter exclusively in the Willamette Valley. Three refuges are set aside to help protect these geese - William Finley, Basket Slough and Ankeny Hill (pictured). I regularly visit these refuges to gather reference for my paintings and this morning I was fortunate to be able to see an increasing number of waterfowl (due to our recent storms and cold weather) including this flock of Canada geese coming in. I went ahead and decided to add a bulrush in the foreground. It is in a spot that I thought wouldn't be distracting and it seems to work by adding a bit more depth to the painting. As mentioned in earlier posts, the white was challenging to paint because it is actually never pure white. 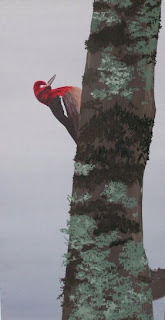 I seemed to mix every shade of the rainbow in with white to create the bird's plumage. 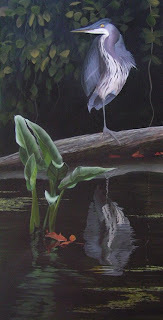 The overall size of the painting is 12"x8" and for more information you can follow this link: Great Egret. The paintings are getting closer to completion. 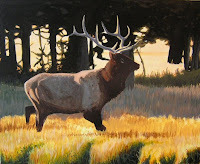 I am debating on adding a bulrush or two in the foreground of the egret and the elk still has more detail to go - especially in the facial areas and in the grasses. 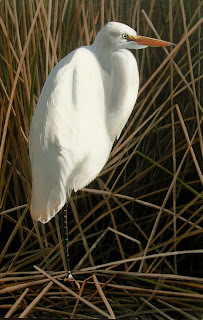 I took a break from the elk (which should be finished soon) and started this egret painting. I always bounce around from painting to painting. That way, when I sit down to start working on an older painting, I see it with fresh eyes. Because there is so much detail in each piece I tend to get lost, so I have to set it aside for a while - sometimes a long while! 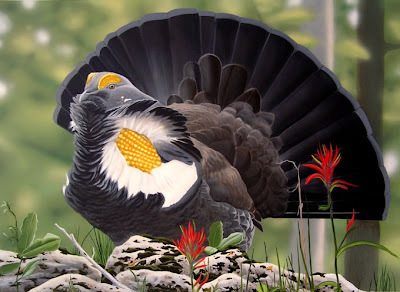 In this painting so far, there has been a lot of time spent on the white feathers, which are hardly pure white, as there are shades of purple, blue, pink, orange, yellow and green subtly blended throughout. 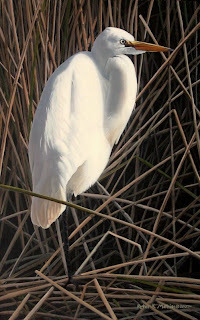 Also, there will be a few foreground reeds (hardstem bulrush) added to provide depth and to push the egret into the painting a bit. As always, the finished painting will be posted (soon... hopefully). Last week on the way to the Peppertree Art Show, I stopped to visit my sister and her family in Oakland, CA for a couple of days. 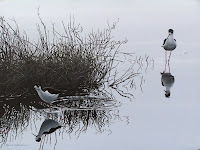 In the heart of Oakland is beautiful Lake Merritt - a lake that is somewhat well known among wildlife photographers and artists for it's viewing opportunities. 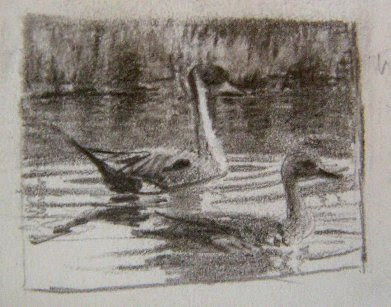 Diving ducks that spend much of their time rafted out of sight on San Francisco Bay often frequent the lake. They are easily acccesible because of their proximity and because they acclimate to the numbers of joggers and other people that use the scenic walkway surrounding the urban lake. Lesser Scaup were the main species present when I was there and are pictured both above and in the video. 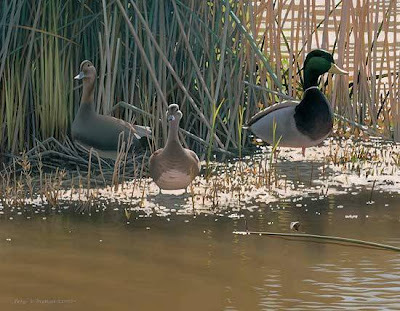 The painting "Pintail Pair" placed second in the recent 2008 Nevada Duck Stamp competition. This is both encouraging and frustrating knowing that the painting was so close to being selected. 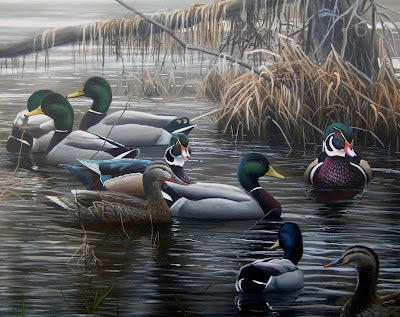 Open waterfowl stamp contests are filled with very talented artists and are extremely tough to win. I always look to learn from each competition so as to move forward with my artwork and I feel challenged to do even better in future art competitions. 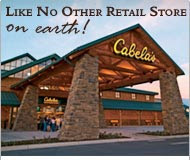 You can click here to view the Top 9 entries including the winning entry by James P. Edwards of Raleigh, North Carolina. I received some great news today! 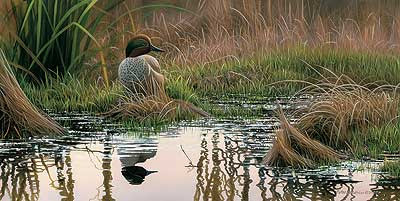 The painting Evening Sprig has been selected to be a part of the 2009 Ducks Unlimited National Art Package. This is a fantastic recognition and very difficult to be accepted into as there are hundreds of entries. 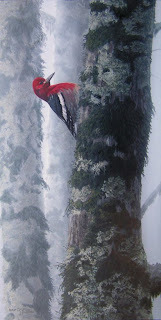 Basically, what the award means is the painting will be reproduced as a limited edition print and the prints will then be auctioned off at DU banquets throughout the country raising significant money for wetlands and wetland habitat throughout North America. 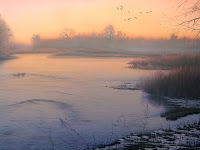 The painting is also being considered for the Ducks Unlimited International Artist of the Year award. Voting for this will take place online and I will post information about how to vote as soon as I receive it. 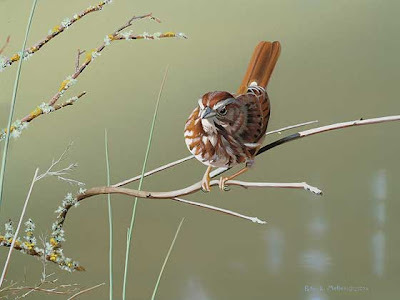 Next weekend, November 10-11, I will be participating in the Peppertree Art Show. 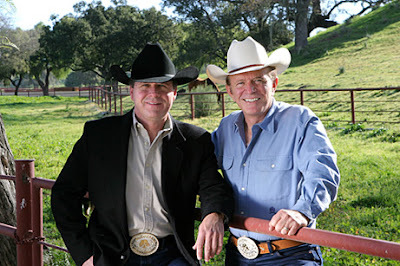 To quote their website... "Now entering it's 31st year, the show, which is produced and directed by Trace Eubanks and hosted by Bob Eubanks, features over 400 works of fine art by highly accredited; nationally, and internationally collected artists. 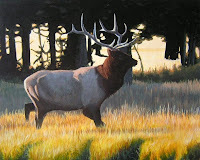 The art work includes magnificent bronze, wood, and paper sculptures, oil paintings, watercolors, pastels, acrylics, and pencil, of incredibly beautiful western scenes, landscapes, southwest, Native American, wildlife, historical scenes, and much more. 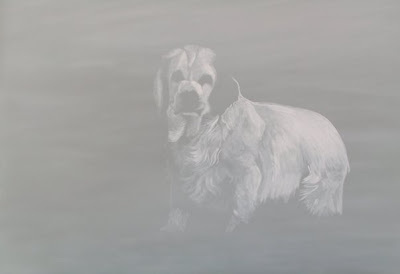 Primarily representing paintings and sculptures of American subjects, the artwork covers a wide spectrum of subject matter, styles, and mediums." If you are interested in receiving an invitation to this private/invite only show please click here. It's Fall Festival time again! 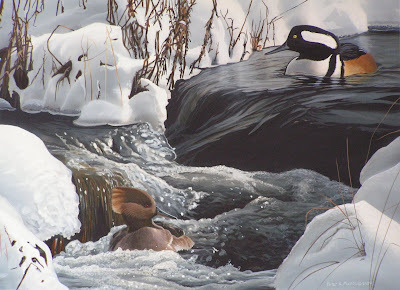 Each year in Lake City, Minnesota, Wild Wings puts on an original art showcase featuring their artists. 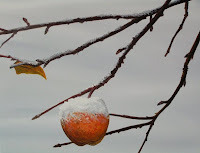 This year I have four paintings being exhibited, which are below. If you get the chance, the show is well worth visiting. 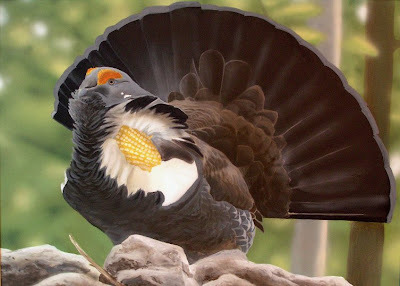 This October 6th & 7th there will be live animal exhibits, painting demonstrations, a poster signing, and a big barbeque dinner all set along the backdrop of beautiful Lake Pepin. Sometimes when I start a painting, something doesn't click and I end up painting over it with a new image. 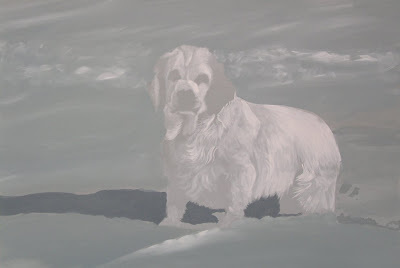 Well, recently, while digging through some old photographs, I came upon a few paintings that had been painted over. With some of them, I could see why, with others I was curious as to why, and with a couple I was downright mad at myself for doing so. 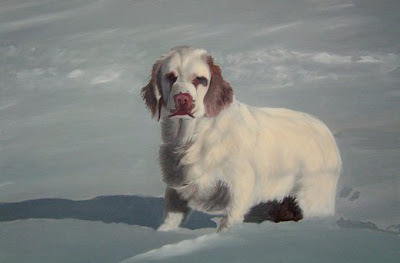 Below is an example of a painting that I wiped out in it's very first stages about 10 years ago. I remember struggling with the lighting a bit but other than that I have no idea why. 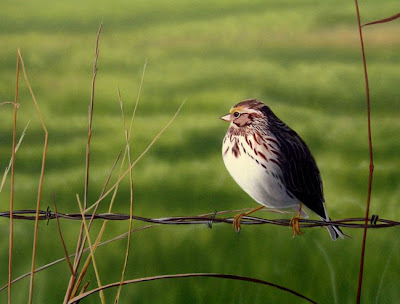 So, with this particular painting, I decided to try again and here is the result - "Evening Sprig" (above). The past two weekends at E.E. Wilson, a local wildlife area, a youth-only pheasant hunt was held and I had the opportunity to go along with my nephew (pictured). The hunt was set up to where only the youth could carry a gun while the adults guided with the only requirement being hunters have a valid hunter safety card and all of the necessary licenses and tags. All morning we hiked around in perfect weather watching the dogs Cody, and the next weekend Maggie, work their magic flushing birds. My nephew had a blast (both literally and figuratively) and ended up bagging his first pheasant - a beautiful rooster! The following weekend he bagged two more. The hunts were a complete success. An important note about hunting: Because so much revenue for wildlife conservation is generated directly from hunting licenses and other fees, taking kids hunting is vital to passing on the ages-old legacy. As a result, the more hunters that get involved, the healthier our environment and the wildlife populations therein will be. Hunters also have a passion for conservation as is noticeable in the hundreds of millions of dollars raised through organizations like Ducks Unlimited, Pheasants Forever, Rocky Mountain Elk Foundation, Safari Club, and the numerous other conservation groups. 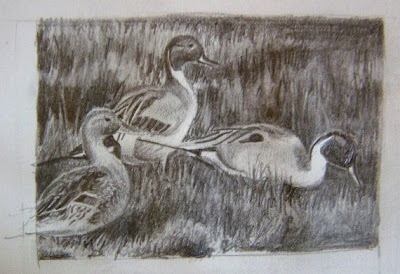 Here are some ideas for the upcoming 2008 Nevada Duck Stamp contest that will feature the Northern Pintail. These are thumbnail sketches which are normally the first step in developing an idea. The first one is only about 2"x3" while the second one is only about 1 inch square. The purpose of these loosely sketched drawings is to look at an idea and to play with the lights and darks.